Synopsis: From the creators of Old School and Road Trip comes the hilarious comedy based on the popular 1970s TV series. 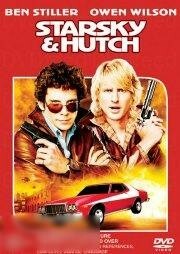 Ben Stiller (Along Came Polly, Meet The Parents) and Owen Wilson (Shanghai Knights, The Royal Tenenbaums) are at their comic best as the undercover cops who are partnered together for their first big case in Starsky & Hutch. With help from slick street snitch Huggy Bear (Platinum-selling rapper Snoop Dogg), Starsky (Stiller) and Hutch (Wilson) are in hot pursuit of a dealer who invents a non-detectable illegal drug. Can you dig it?